The Starlite Lamp is the heart of our popular Starlite QL lighting system. The Starlite Lamp emits light in an omni directional pattern, so most of the light is reflected from the sides of the soft box, making the softbox more efficient. This results in a very soft light output, nearly free of hot spots. The revolutionary design of the Starlite lamp features a double-envelope bulb for care-free handling when cool. 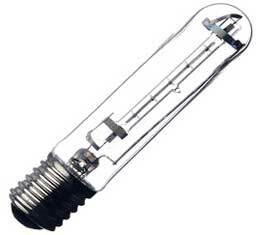 The inner halogen lamp is protected by a shatter resistant Pyrex?outer shell. The lamp can be handled with bare hands without the worries of traditional tungsten lamps where oil can cause explosions. The Starlite Lamp is available in 500 watts and 1000 watts. Available for 110 volt USA use, 220 volt and 230 / 240 volt for use in Europe & other countries.